General Purpose PCB, Connecting Writes etc. As from above circuit diagram and part list you can this programmer needs one digital IC and few resistances. The 74HC541 Buffer is used to isolated the programmer circuitry from PC parallel port. Although, Its is hard to solder on General Purpose PCB. But it Works. This Programmer Support ATMEL AT89Sxx Series Microcontroller and AVR. But I have tested only with AT89S51, AT89S51 and AVR ATmega8515. What to do if programmer did not work? 2) Replace 74HC541 with Other Buffer 74HC541 IC. 3) Replace your microcontroller with another one. 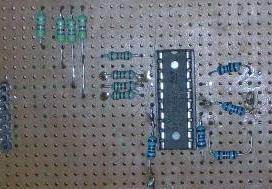 2) Simple and small circuit. 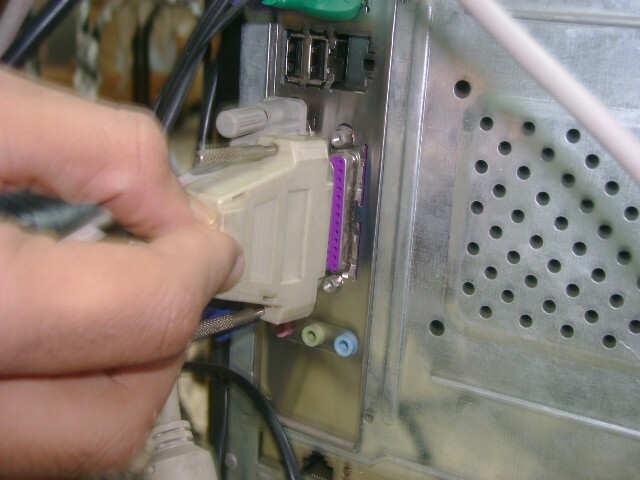 3) Easy Interface with PC’s Parallel Port. 2) May not to work on USB-to-parallel converter. Note I have not tested with USB-to-parallel converter. The hardware supports this ISP module is ISP-Pgm V3.0a developed by Muhammad Asim Khan you can download from below link. Dear Friends, Discrete components such diode, transistors and resistances and Digital ICs easy to use. Because discrete components and Digital ICs we can solder and check there working. But when we talk about microcontroller programming or embedded programming field, there is one hardware device necessary to test working to microcontroller on target board is called “Microcontroller Programmer”. Without that we can’t check code on target hardware. Microcontroller Programmer is Device is used to load the program (.hex file) from host PC to Target device Microcontroller. 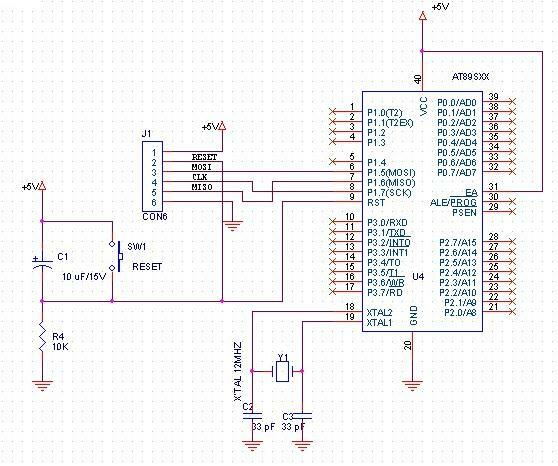 AT89Sxx ISP Circuit Programmer, ATMEL AVR ISP programmer, ISP Parallel Port Programmer, Low Cost Microcontroller ISP Programmer, Build your own microcontroller programmer, Asim Khan ISP Programmer, Microcontroller Programmer Student Project. ISP is technique to load hex file in microcontroller without removing microcontroller from its target. The below is circuit diagram for ATMEL AT89Sxx series with Parallel Port.I have redesigned circuit for better understanding. Although there are many companies that are manufacturing “programmer” but it is difficult afford to students and hobbyist to buy this kind of Programmers.AT89S Series of microcontroller Means it is capable for ISP Programming mode. Also AT89S series compatible the AT89C Series. 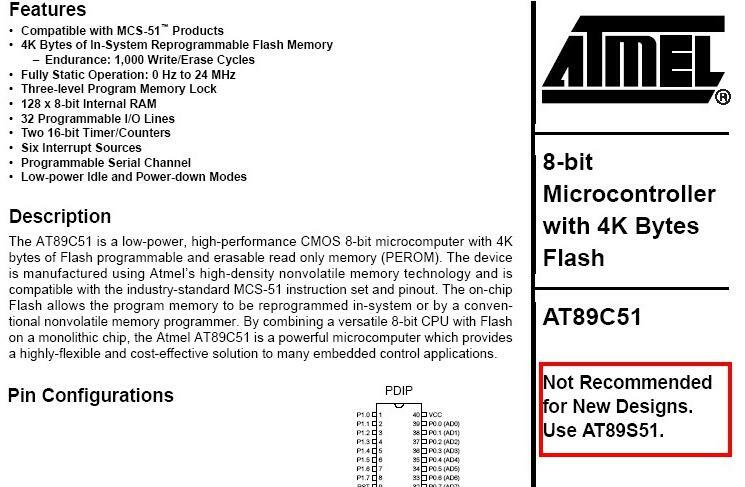 So, ATMEL may reduce or stop production of AT89Cxx series.